Marcus Waid Gainer, 88, of Hershey, PA passed away, Friday, October 19, 2018 surrounded by his loving family. A celebration of life service will be held at Hope Springs Farm on Wednesday, October 24th at 201 Trail Road, Hershey, PA 17033. Friends and Family are welcome from 5:00 PM until 8:00 PM. Marcus was born February 28th, 1930 in Racine, Ohio to William and Susan Gainer. 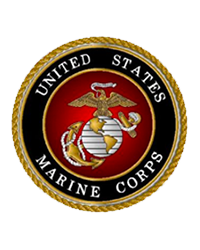 He graduated from Racine High School in 1947 and served in the United States Marine Corps during the Korean War. On March 24, 1951, he married the love of his life Frances H. DeSantis. They were married for 55 years until her death in 2006. Marcus retired from Kraft Foods, Palmyra, after 38 years. Marcus was a carpenter, enjoyed hunting, and spending time at his cabin in the woods. Marcus is survived by his six children, Steven Mark Gainer, and his wife Sharon (Hopps) of Hannover, Germany, Ellen Lynele “Lynn” (Gainer) Dowhower, and her husband Dennis of Lock Haven, PA, James David Gainer, and his wife Denise (Evans) of Palmyra, PA, Lori Ann (Gainer) Lidle, and her husband Brydon Lidle, III of Hershey, PA, John Anthony Gainer, and his wife Jennifer (Brown) of Waco, Texas, and Chris Gainer, and his wife Karen (Ziegler) of Halifax, PA. He is also survived by 12 grandchildren and 7 great-grandchildren. In lieu of flowers, memorial contributions in Marcus’ honor may be made to Homeland Hospice, 2300 Vartan Way, Suite 270, Harrisburg, PA 17110.